Firstly we do have smaller news about Nine Parchments: Redonkulous Gaming released an interview that they had with our marketing lead. The interview is in two parts, so remember to read both. First part is about Frozenbyte in general, and second part focuses on the game. During the month we also added a Japanese web page for Nine Parchments! And yes, we are quite excited to have the game in Japanese as well! And there was something different in weather. It happened last year as well, a mini-winter before the actual thing, but this time it happened really early, during the last week of October! What I mean by this is a sudden snowfall and icy roads brought in by a sudden cold temperature. Below is a tweet we did with some evidence of the snow. In practise the weather meant that some of our staff was working remotely or needed to reserve extra time to go by a bus or a car. Yes, the traffic was slightly in mayhem. If it’s the same each year, one could think that we would know how to prepare. I mean, we do live in the promised land of polar bears so there is a lot of snow! Just joking, we don’t. Anyway this lasted for just couple days and there is no snow anymore in Helsinki, but we hope to receive some before Christmas. At least some people do, not all. 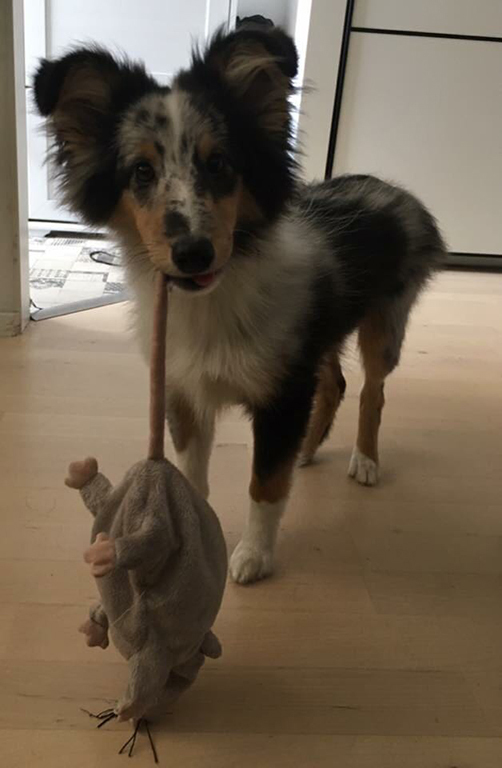 How about Halloween? It’s certainly a nice spooky holiday and a big part of October, but unfortunately it’s not really a thing in Finland. Still our lovely catering team did prepare an awesome Halloween brunch for us though. One could also think that support team would finally learn to take pictures before eating. But no, still we were once again too eager to eat and forgot the pictures. Also our Nine Parchments wizards had a proper Halloween and they went trick or treating! Short video of this below. Our catering team also did some cleaning and found some ancient artifact which is now hung onto our wall here at the office. 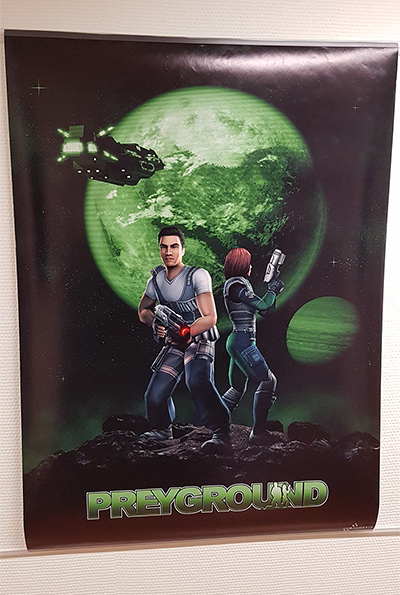 The poster below is over 12 years old, currently in our corridor but originally from a time when Shadowgrounds was still known as Preyground. 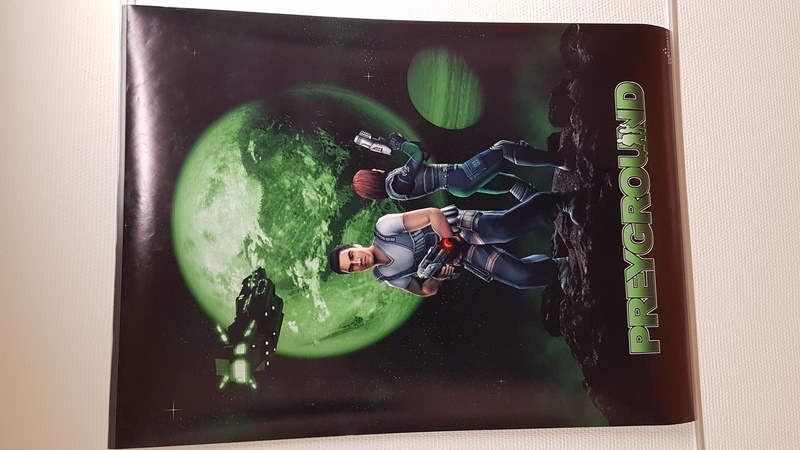 Pretty well preserved poster! The poster in our corridor! Click the picture for a bigger view.Lastly but not the least the news from early this month! A new Frozenbyte logo and the Has-Been Heroes Expansion. What do you think? As mentioned in the Expansion’s announcement post, we were thinking of putting a price on the content but decided to have it available for everyone. Hopefully this will bring more fans for the game as well! For the logo reveal info, head to this page and check out our (amazing) video for it below! Will you upload a track or two from the soundtrack? Can’t wait to hear it!